It’s an early weekday morning in 1960, and radar operators have detected a group of larger aircraft flying in formation towards western North America from the Soviet Union. Unaware of these developments, children are munching on cereal with the radios blaring the news while their mothers busy themselves with packing school lunches in suburban America. In the distance, a set of sharp, loud, thundering CRACKS! fill reach their ears. Many rush to their front yards and windows, straining their eyes in search of the cause of the unsettling noises. The radio newscasters interrupt the morning shows to advise people to retreat indoors and seek shelter as soon as possible. Air raid sirens wail around towns and civilians fear their worst nightmares are about to manifest themselves shortly. The cause of those loud booms is a group of F-108 Rapiers streaking across the sky at thrice the speed of sound, about to meet the incoming waves of bombers head-on. Their advanced search radars have picked out the Tupolevs, and pilots immediately prepare their internal rotary launchers to release their hypersonic missiles that’ll guide themselves to their targets and eliminate them with extreme prejudice. The order to fire is given, and the Rapier aircrews fire in rapid succession, then bank away. The bomber waves are systematically neutralized, and any remaining aircraft are taken out by other American and Canadian fighters that have reached the area. The North American west is safe. Missiles, now standard armament on all fighter aircraft worldwide, were the next evolutionary stage of the rocket, designed to down enemy planes more effectively with the use of different forms of guidance. Interestingly enough, the greatest kill ever effected by the missile was not over the Gulf of Sidra or in Vietnamese skies. It was the destruction of an entire generation of aircraft, ending the fastest and highest-flying fighter interceptors to have ever been designed before most even had a chance to enter the prototype stage. In the mid-1950s, the Cold War was already in full swing with force modernization occurring on both the Soviet and Western sides of the conflict. While both the United States and the Soviet Union ostensibly scrambled to develop more powerful nuclear weapons, leading to monstrosities like Castle Bravo and the infamous Tsar Bomba, an even more important focus was laid upon the design and production of delivery vehicles for these devices. Ever since it was determined that a B-29 Superfortress would be the aircraft to drop Little Boy and Fat Man on Hiroshima and Nagasaki, the primary delivery vehicle thenceforth became the bomber aircraft. Strategic bombers grew in size, range and speed from the end of the Second World War and beyond. Eventually, propeller-type bomber aircraft were completely supplanted by jet-powered bombers in Western inventories, especially the in United States’ newly-formed Air Force, created from the separation of the US Army Air Force from the US Army. 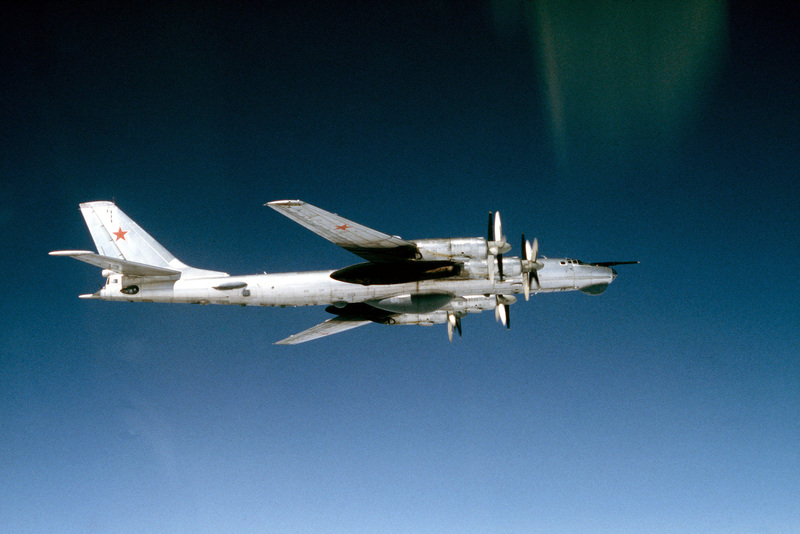 The Soviet Union carried on with the use of propeller bombers, bringing about the legendary Tupolev Tu-95 “Bear” as their primary nuclear weapons delivery aircraft. The Bear would, of course, be complemented by a number of other unique Soviet bombers, most of which were jet-powered. Through keen observation and a little bit of espionage, Western military and governmental officials felt that the only way they’d be able to stop an onslaught of these bombers before they reached major cities and military bases would be through using faster fighters, which would “intercept” waves of enemy aircraft and take out the larger bombers before they managed to do any harm. Thus, the interceptor-type fighter jets were born. An air-to-air right side view of a Soviet Tu-95RTs Bear D strategic bomber aircraft. Most interceptors were common, ordinary 1st and 2nd generation fighters, primitive but effective against slower, larger bombers. They would use their on-board cannons, rockets and very early guided missiles to blow the oncoming Soviet bombers out of the sky, if they could get to them first. In the early 1950s, Western military brass decided that they needed jets that could fly faster over greater distances, as the most likely route of ingress for the Soviets would be through the Arctic’s uncontested airspace. American and Canadians jets would especially have to deal with flying over a significant amount of territory before they were able to get within the max effective range envelope of their on-board armament. The solution was a new breed of larger interceptors that would be able to punch through bomber waves after flying at supersonic speeds to their targets. These interceptors would be launched in groups, and wouldn’t be considerably armed (compared to later fighters); instead, they’d rely on the collective arms of their interceptor groups to deal with bigger-sized threats. They’d fly at higher altitudes, and would fly with sophisticated radars of their own. They’d also incorporate revolutionary purpose-built avionics and far more powerful engines than ever before built. Then, the missile struck and the result wasn’t pretty. Harking back to the days of the German V-1 and V-2 rockets, Soviet and Western military officials saw a renewed use for guided rockets. Instead of launching them with warheads packed with conventional explosives, they’d place nuclear warheads on top of larger missiles that would rely partially on a combination of computer guidance and gravitational science to find their target cities and wipe them out. No bombers necessary. Of course, that didn’t diminish the threat that bombers could potentially pose, it just added a new prong to the spear. As the Soviets developed their intercontinental ballistic missile (ICBM) programs, so did the West. The US responded with the deployment of nuclear-tipped cruise missiles (which were slightly more accurate than ballistic missiles) aboard submarines, which would sail (or swim?) undetected to an offshore location, surface, then launch their deadly cargo and sail away to safety, once again undetected. Not too long after, submarines became the greater nuclear threat, as nuclear delivery vehicles were no longer restricted to fixed silos and ground-based launchers. Submarines couldn’t be tracked the same way ground-based radars could track bombers. Slowly, the need to quickly intercept these bombers quickly over vast expanses of territory deteriorated. Now that missiles superseded bombers as nuclear delivery vehicles, high-speed/long-range interceptors were the first of the new breed to die. Jets like the Avro CF-105 Arrow and the North American XF-108 Rapier would be able to fly more than twice the speed of sound with a payload of three or four air-to-air missiles over large ranges at high altitudes. The Arrow was a step forward in fighter aviation as it was the first aircraft to incorporate a working fly-by-wire system, easing the strain on the avionics and the pilot. The Rapier would have been a step even further than that, flying with a pulse-Doppler radar (something extremely revolutionary at the time) coupled to an infrared search and tracking (IRST) system that would guide their Hughes GAR-9 missiles (the forerunner to the AIM-54 Phoenix). The Republic XF-103, a concept that predated the CF-105 and XF-108 by a few years, was similar to both in that it made use of extreme speed and considerable altitude to get to its target while on-mission. 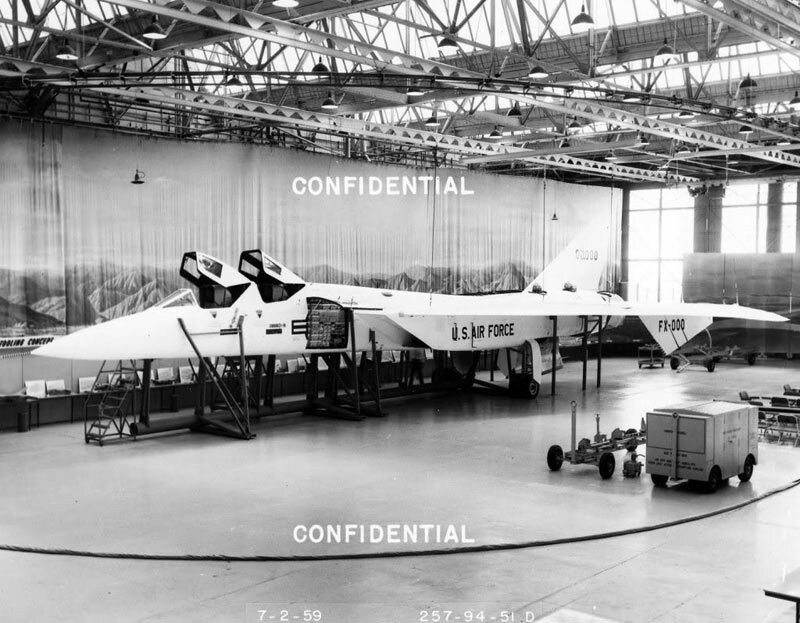 The Arrow, which was the only one of the three mentioned interceptors to actually proceed past the mockup stage and fly, did show promise, though it ran into its own set of issues during testing, including maneuverability problems and spiking costs. At the end of the 50s, the Arrow and Rapier met their demises, a few years after US Congress decided that the XF-103 wasn’t worth the investment at the moment. This time, the reasoning was different. Though both the Arrow and Rapier became increasingly costly to fund, the underlying reason was that they were simply no longer needed. They didn’t have to meet bombers head on and wipe them out anymore. The real threats were missiles, which were faster and far more difficult to stop. It, of course, didn’t help that there was no real market for these aircraft anymore either, especially with foreign buyers. Across the pond, similar changes in aerial defense policy were occuring, especially with the publishing of the now-controversial 1957 Defence White Paper by British Minister of Defence Duncan Sandys. The Saunders-Roe SR.53, a lightly-armed Mach 2+ interceptor, was among the first of the next-generation European interceptors to meet the same fate as the Arrow and the Rapier. 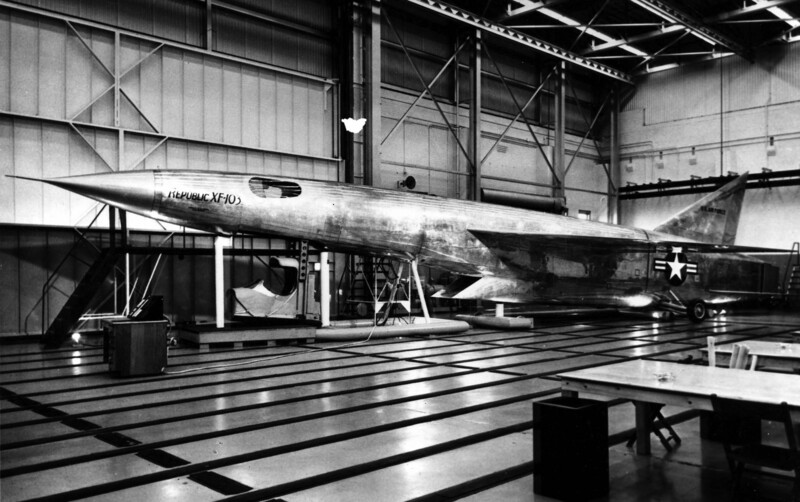 Thanks to a shift in focus from fighter development to missile development to close the infamous “missile gap”, the SR.53 was judged to be unnecessary and unworthy of the funding it had received from the British government. In France, the SNCASO Trident and SNCASE SE.212 Durandal were also cancelled around the same time, thanks to Sandys’ publishing of the White Paper of 1957. Salvaging the next-gen interceptors by re-purposing them for other missions was completely out of the question. The Arrow, for example, wasn’t able to dogfight. It could have been redesigned as a reconnaissance aircraft, similar to the SR-71 in mission, but as was mentioned earlier, there was no real export market for the jet. Canada didn’t need an aircraft of the sort in its inventory either. The Rapier couldn’t be re-purposed either. They were jets that were built for one mission alone, and they were built to fly that mission exceedingly well. There was no hope greatest generation of Mach 2+ interceptors that now would never be. The lessons learned in the design of those interceptors would be applied to Western multi-role fighter and attack aircraft, including the North American A-5 Vigilante, a carrier-based bomber/reconnaissance aircraft that bore a close resemblance to its older cousin, the cancelled Rapier. The Vigilante was probably the only semi-happy story to come out of this entire affair. 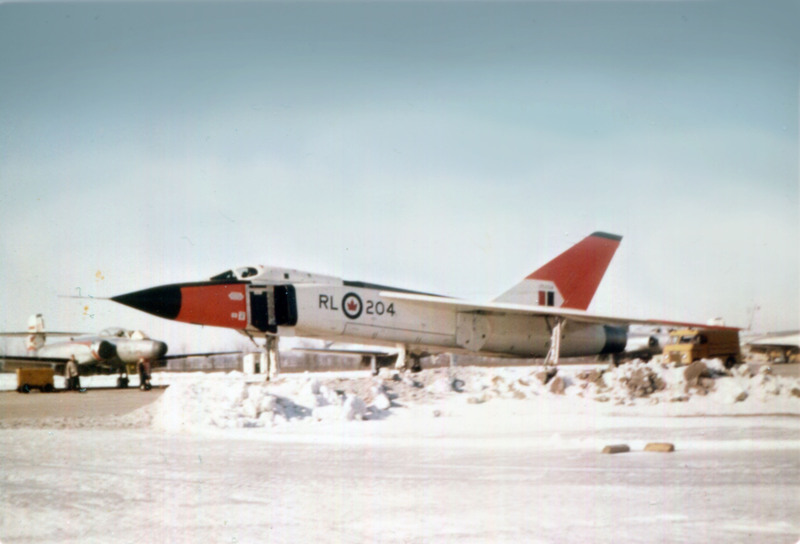 The cancellation of the Arrow led to the already-faltering Avro company to enter its death spiral. On a side note, contrary to popular opinion, the ending of the Arrow program did not destroy the aviation industry in Canada. The fact that Bombardier Aerospace, Canada’s leading aviation corporation, is now the third-largest producer of aircraft in the world (tied with Embraer of Brazil) proves otherwise. The 1957 Defence White Paper led to a difference in the procurement of military aircraft in the UK, promoting the reorganization of a number of smaller aviation companies into larger all-inclusive corporations like BAC, Hawker Siddely and Westland. In a way, the cancellation of those aircraft shaped the aerial defense industry considerably; largely for the better, some would argue. These beasts of machines, now long-gone, have been relegated to smaller curiosity books which mention many in passing. A few are preserved in museums, while the rest are mentioned in whispers among aviation fanatics and loyal disciplines of the bygone golden age of 2nd generation fighter aviation. We’ll never get to see these jets fly, but as I’ve said before, it’s always fun to imagine what might have been, isn’t it?